Well, then, it’s turns out this 2018 NCAA Men’s Ice Hockey Regional Tournament at the PPL Center in Allentown really will have a little something for everybody when play gets underway this upcoming weekend. Almost needless to say, a great many citizens from all across the Commonwealth will be coming out to see the state university’s ice hockey team, a still relatively new program in only its sixth year of existence but now in the vaunted NCAA tourney for a second consecutive season under the astute leadership of head coach Guy Gadowsky. Meanwhile, for the loyal and passionate fans of the professional team that regularly skates downtown at the corner of 7th & Hamilton Streets, there will be the unique opportunity to compile a preliminary scouting report on potential future Lehigh Valley Phantoms center Tanner Laczynski, the gold medalist with the United States at the 2017 IIHF World Junior Championship whom the Philadelphia Flyers chose in the sixth round of the 2016 National Hockey League Draft. For the discerning patron who is routinely accustomed to watching high caliber hockey at the PPL Center, there will be the wonderful chance to witness live and in person what is truly one of the most historically successful ice hockey programs in the entire country – the defending NCAA champions, as a matter of fact! And for those people who are sincerely most happy when pulling for the long shot underdog, there will be a genuine David who just gone done slaying a few Goliaths on the way to the ECAC tournament title, an Ivy League school that simply does not even award athletic scholarships. 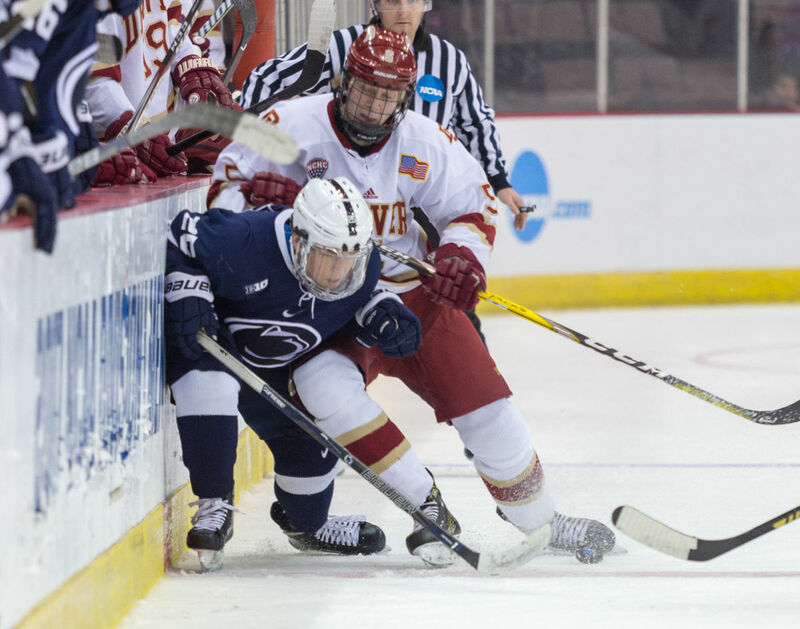 With so much at stake, both games on Saturday should be extremely exciting engagements that, given the lack of artificial stuff such as three on three and shootouts in NCAA Tournament ice hockey, could go on for a while. Ohio State, led by leading scorer Laczynski (38 ga, 15 go, 43 pts), are a powerful and deep team that has no qualms about rolling all four lines at all times in order to wear opponents down; the Buckeyes could have probably been fairly labeled ‘unlucky’ in their overtime loss to # 2 Notre Dame in the Big Ten Conference tournament final. Princeton, on the other hand, are not likely to be intimidated having defeated both # 3 Cornell and # 10 Clarkson at the ECAC tourney in Lake Placid, New York; ironically enough, the last time the Tigers were skated at the NCAAs back in 2009, the head coach was none other than Gadowsky, himself. Next order of business : a closer look at all four of the participating schools.